Viral meningitis, also called aseptic meningitis, is a common form of meningitis, infection of the coverings of the brain and spinal cord, caused by various types of viruses. While bacterial meningitis is a severe, life-threatening disease, viral meningitis tends to be more mild and is rarely life-threatening. Most patients recover fully after the virus runs its course. Meningitis symptoms generally include headache, high fever, stiff and/or painful neck, photophobia (avoidance of bright lights), nausea and vomiting and, less commonly with viral disease, deteriorating level of consciousness. However, the symptoms of viral forms of meningitis tend to be much more mild than in bacterial forms of the disease. Fever is generally low grade and nausea and vomiting is less common. Most notably, the level of consciousness is rarely significantly affected by viral infection. 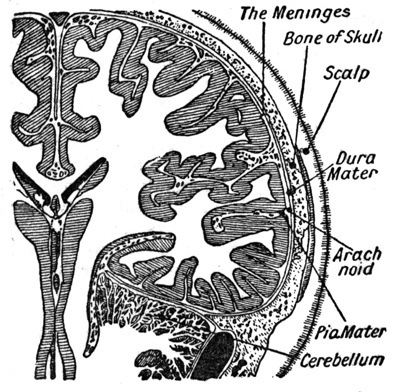 If a patient presents with the signs and symptoms of meningitis they generally undergo an lumbar puncture (spinal tap) to obtain cerebrospinal fluid for analysis. This can help to distinguish viral from bacterial meningitis. Some of the chemistries tested are different and no bacteria is seen or cultured from the cerebrospinal fluid. This helps confirm the diagnosis of viral meningitis. Antibiotics are not effective against viruses and therefore are not indicated in the treatment of viral forms of meningitis. In fact, no direct treatment is generally needed because the viral infection is self-limited, meaning it runs its course and then burns out. Generally, viral infection is not life-threatening and hospitalization is not required. Only general supportive care and rest are recommended to most patients. Most recover fully within 2 to 3 weeks without permanent deficits. The treatment and prognosis of each patient may vary. Please consult your own treating physician regarding the appropriate management in your case. Done with the Viral Meningitis page?